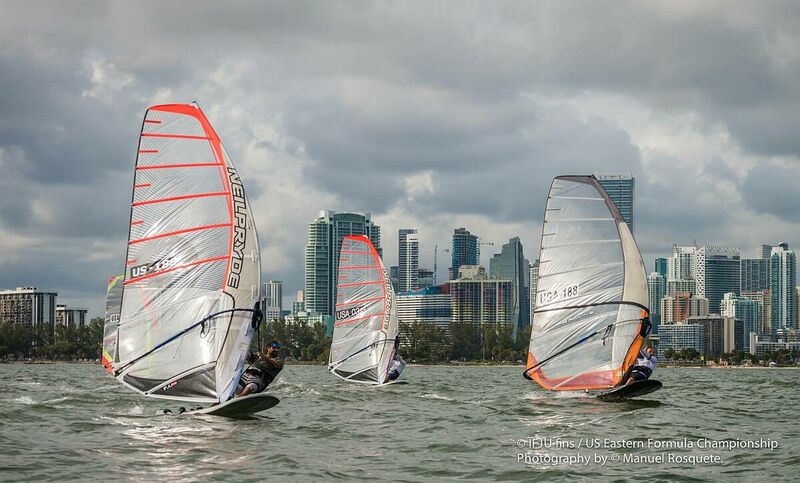 The 2016 Ifju Fins US Eastern Formula Championships were held this weekend on the waters of Biscayne Bay in Miami. 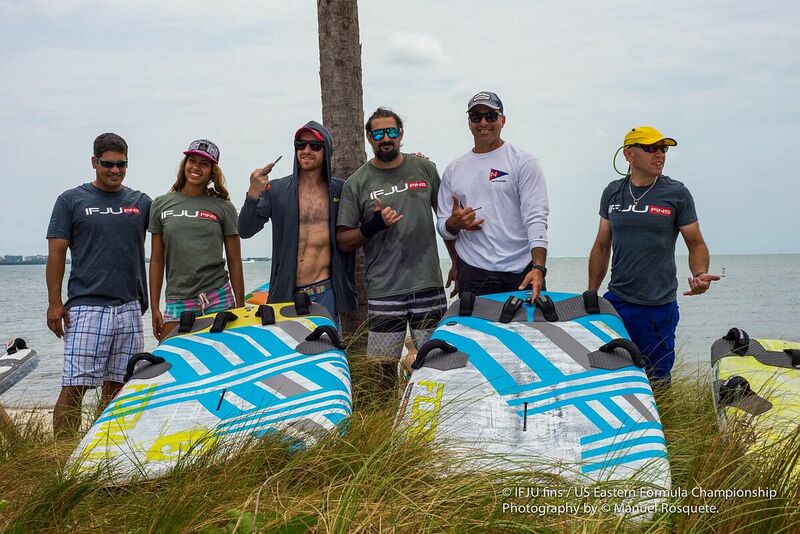 Alex Morales of Tillo International and Ifju Fins has been hosting this event for several years. Alex is doing things right for low-key / race-hard events. What do I mean by that? Well you should really come down yourself and find out, but I’ll tell you anyways. Alex has a simple venue, a relaxed approach, and a stubborn optimism. This resulted in everyone at this event coming away with huge smiles. In a fleet of fourteen formula racers not a single competitor was unhappy, and this includes two broken masts and a broken sail. What really struck me about this race was the range of experiences that was on the water. We had top tier competitors like Jesper Vesterstroem, as well as rookies who were coming out of the “weekend warrior” crowd to get an early taste of competition. Talking with the racers I gained a deeper sense that some of the intermediate racers had gotten into competition due to the kind of low-key / race-hard vibe that Alex was promoting with this event. Lots of “man you’ve become so much better since last year” were tossed back and forth. I knew one in particular, Luis, who had one of his first races last year at the Calema Midwinters. He was right up there on the start line with the rest of them and proud as punch when he passed a few of his colleagues. Day 1 saw everyone on the beach laughing, eating half a banana, and trading tuning tips. Miami has a reputation of no wind or excellent wind. This was the former on day one. A clean beach, some shade, and snacks meant no one was complaining. The wind picked up a bit late in the afternoon and everyone braved the lulls to squeeze off two races. The leaders managed to plane around the entire course and there were a few dramatic passes between Jesper, Alex, and Justin Ahern. The locals were hot on the heels of the pros. The rest of the fleet was full of vigor as they stubbornly refused to accept the lulls and pumped their way around the course. Rain and the second broken mast of the day gave enough reason to end racing for the day but the forecast looked juicy for day two. Alex, ever the energetic host, invited everyone over for hot wings and drinks in his back yard after we all cleared the beach. Day 2 started off with gusts hitting 30. Due to a phenomenon called “Miami Time” racing started closer to the afternoon and this gave the wind some time to die down. The downside to this was that it also became very holey. Wind on the course ranged from 10 to the 20’s and made for some very interesting racing. An Open fleet was also added to the lineup as a few rookies wanted to get in on the action. Everyone hit the start line together and ended the day with four races. The Open fleet raced a shortened course while the Formula fleet completed a full circuit of upwind-downwind-upwind-finish. 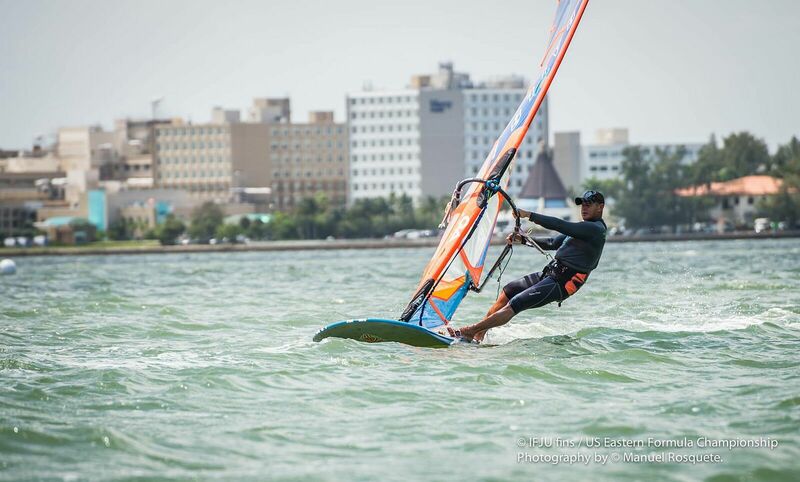 The sun was out, the water was warm, the gusts were strong, and the competition fierce. Even after the racing was finished people were still sailing. While half the fleet was de-rigging the other half was on the water swapping gear and more rigging tips. A short but sweet awards ceremony finished off the day. I don’t think I’ve ever heard more cheering at event. It was impossible not to get caught up in the energy of these locals and feel like you were one of them. Everyone who wasn’t a friend at the beginning of the event certainly was by the end. That’s what made this event great. As much as we want to see big events like Nationals and North American Championships, it’s the small persistent competitions that bring in the locals and get them hooked on competition. The spirit of camaraderie and competition turns out to be some of the best motivation and training possible. Then a few outsiders get curious and get brought into the mix and word spreads. You get a few big timers and industry insiders to join in and that just inspires the local crowd to train up and enter more competitions. Pretty soon the local crowd wants more action and suddenly “The Miami Crew” is traveling together and showing up to a North American Championships. This is how we grow the sport. We start small and passionate and spread the stoke. We attract a few outsiders, make them family, and they go home with great stories and renewed passion. Big events with strict adherence to the rules are just as important as small events with one tent that are run on “Miami time” with a Belgian Malinois dog as the safety officer on the committee boat wearing a life vest. I encourage all of you to race in your local events, overcome whatever hesitations you might have and do it. Get in on that stoke, then spread it. Make friends and improve your skills together. This event was everything I was hoping it would be, and I will certainly be back for more! Next story Hatteras Goes the Distance! 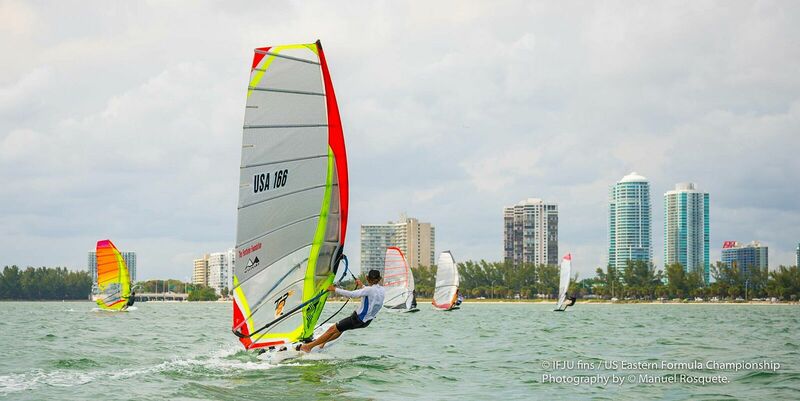 Previous story Fiat Lux: Windsurfing in College for Credit!